Amazon has confirmed that it has retired its physical Dash Buttons. The devices were targeted at smart home internet shopping enthusiasts who hated to run out of essentials around the home. 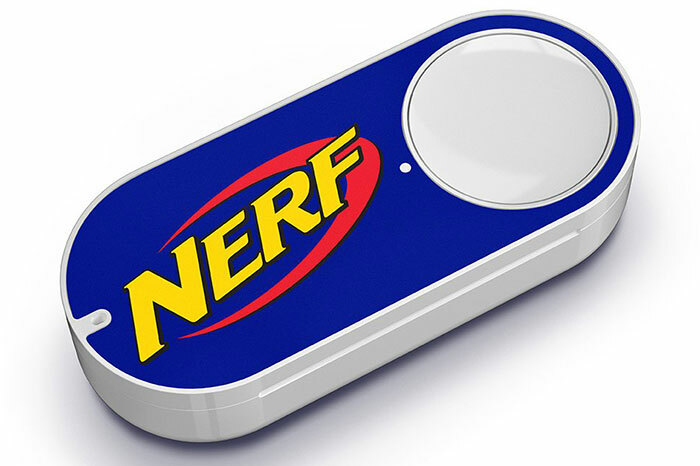 Thus Amazon used to sell Ariel clothes washing liquid, Finish dishwasher tablet, Andrex toilet roll, Gillette razer, and erm… Nerf ammo dash buttons in the UK, among many others. The Amazon Dash buttons first arrived in the UK back in August 2016, so they haven't had a very long run. Each product branded device included just a single button to order the signature product of the brand in question, and they operated as part of the Prime subscription service. While each different button cost £4.99, that sum could be used as credit against your first order(s) of the indicated product. 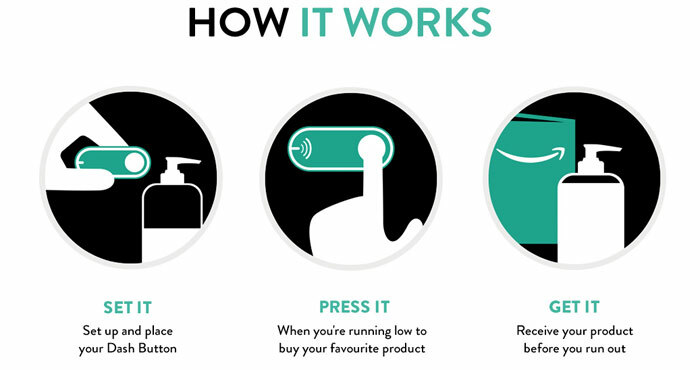 In the UK the Dash Buttons debuted at the same time as the Amazon Dash Replenishment Service (DRS) which continues to allow smart appliances to make consumable orders - for white goods from the likes of Samsung and Bosch, and others. Amazon told the BBC that the Wi-Fi connected buttons have become unnecessary as customers simply subscribed and auto-reordered such essentials though its online service. The Amazon Dash Buttons will be replicated by digital Dash buttons in the Amazon shopping app for convenience, other people like to just ask Alexa to buy things if they are running low. Amazon Dash Buttons were ruled illegal in Germany earlier this year when that country's courts objected to people purchasing items without knowing the exact price beforehand. Another sticky situation for Amazon was the popularity of its buttons with hardware hackers who would repurpose these $£5 gadgets saving quite a sum on a typical unbranded smart button price. If you already have some dash buttons in the house and want to continue to use them, Amazon confirmed that "existing Dash Button customers can continue to use their Dash Button devices". Furthermore, Amazon will continue to increase its Dash Replenishment product range linked to virtual buttons in Amazon apps and devices. Sorry, but I thought this was a ridiculous product concept the moment I first saw it, so it comes as no surprise that it's flopped like this…. Reminds me of another recent thread where I was railing against other peoples' praises for Amazon's services. I was actually shopping on Amazon just last night and had to Google why I couldn't get the items posted to me… apparently someone once sent me a gift that they bought off Amazon, so my address was a Registered Gift address and was thus verboten for anything sold in their Marketplace by other sellers. I had to do some ouiji fiddling and reconfig my profile, before creating a shopping list and moving everything over to that, then adding it to my basket and then trying to Checkout…. none of which was explained on Amazon's website. Meh - I ordered a few when you got £5 off the first item ordered by the button (so £2 saving per item after button cost). Ordered from them each once and bin them after checking that they cannot really be purposed easily. fter checking that they cannot really be purposed easily. They all require network sniffing. I just don't have the home network setup for this. If you could have reprogrammed them I might have bothered. I've never found their grocery items to be much cheaper than going to the supermarket. Quite a lot of it is more expensive on Amazon. I thought it was a con that you had to buy the dash button when ironically they want you to spend more. Should have always been free never understood that, a convenient item at an inconvenient price.